Tiny Tutus is Australia's fastest growing provider of quality early childhood dance programs. -	Days and times to suit you! Most of our classes are in the morning between 9am-12pm for age groups between 1.5-5 years. We are looking for talented, committed, reliable teachers with a background in ballet and a genuine desire to be part of the Tiny Tutus Dance philosophy. 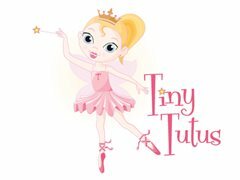 As a Tiny Tutus Teacher you need to possess a high level of confidence to actively engage your tiny ballerinas and to guide them through a magical world of dance. You will need a dynamic, energetic child-friendly personality! Previous teaching experience is highly regarded.